SLIM DOWN & SHAPE UP IN JUST SIX WEEKS! Whether you want to lose bags of weight or boost your athletic prowess, high intensity interval exercise is the answer. A plethora of science backs up the body-boosting benefits of HIIT, which include increasing stamina, reducing blood pressure and bolstering VO2 max. 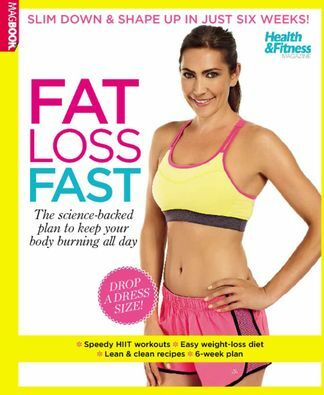 In this book, you’ll discover how HIIT works alongside the other building blocks of fat-loss training, plus you will get all of the information you need to pummel those pesky pounds. Team the fat-burning workouts with our clean eating diet plan and you will soon reach your weight-loss goals. We will even give you a few insider tricks for pushing through the pain barrier. Be the first person to tell us what you think about Health & Fitness Fat Loss Fast and you'll save $5 on your next purchase! 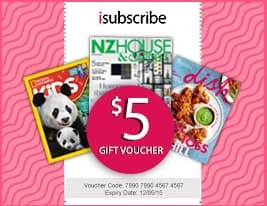 https://www.isubscribe.co.nz/health-&-fitness-fat-loss-fast-digital-subscription.cfm 15701 Health & Fitness Fat Loss Fast https://www.isubscribe.co.nz/images/covers/nz/541/15701/square/HealthFitnessFatLossFast191610457.jpg NZD InStock /Digital/Health & Fitness/Running SLIM DOWN & SHAPE UP IN JUST SIX WEEKS!